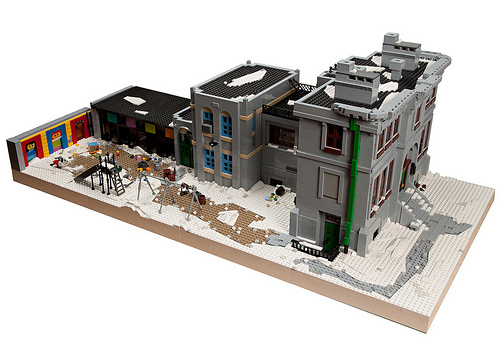 Chris Edwards recently photographed his contribution of BrickFair’s Snowpocalypse layout last year. The abandoned school building covered in cold snow really helps to evoke an eerie feeling. The pillaged pre-school area was seriously depressing. I wanted to give Chris an award for Most Depressing MOC.